With twelve national amateur titles to his name during the 1990’s, Ryan has always been regarded as a player with some potential. Having made the 1998 World Amateur final where he was unfortunate to lose out 11-10 to England’s Luke Simmons, Day turned professional a year later and duly secured a place on the main tour. His early years were unspectacular, once dropping off the tour although he regained his spot emphatically by winning the 2001/2 Challenge Tour. It was also during this season that he was to make his mark on the pro game by winning the 2001 B&H Championship to qualify for the Masters at Wembley. There he recorded an impressive win against Dave Harold before being taught a lesson by six times winner Stephen Hendry in the next round. From this point his ranking was to steadily rise, aided by reaching the World Championship for the first time in 2004. Coming up against formidable opposition in John Higgins, Ryan played brilliantly, making three centuries (a record for a Crucible débutante), to lead the match 9-7. Higgins’ experience ultimately proved the difference however as he took the final three frames to move into the second round. The following season saw Ryan reach his first ranking event quarter-final, at his home tournament, highlighted by beating Steve Davis 5-4 from 4-0 down. Although he failed to qualify again for the Crucible having lost 10-5 to close friend Stephen Maguire in the final qualifying round, Day was now into the top 48 for the first time. A year later he was to do better however and reach the second round in Sheffield with an excellent 10-3 win over Joe Perry. 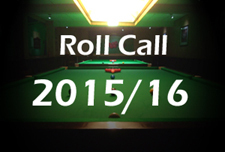 This was as far as he got though as Ronnie O’Sullivan ended his hopes in his next match. By this stage of his career Ryan was regularly qualifying for the major events and starting to push for a place in the top 16 for the first time. 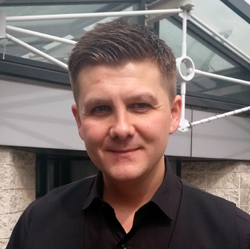 He made his second ranking event quarter-final at the 2006 Northern Ireland Trophy before making a tremendous run to the final of the following year’s Malta Cup. Although he lost this 9-4 to Shaun Murphy, Ryan qualified for the season ending World Championship once again and in doing so managed to end the season ranked at 16th position. No longer having to qualify for events, Day took his form into the 2007/8 season with a run to his second final at the season opening Shanghai Masters. 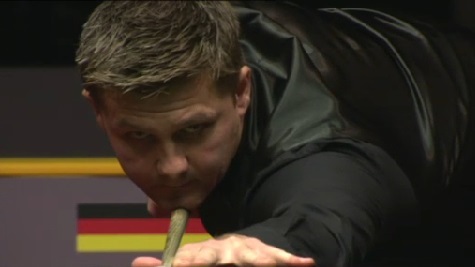 Surprisingly he was to lose out again however, letting slip a 6-2 lead against countryman Dominic Dale. 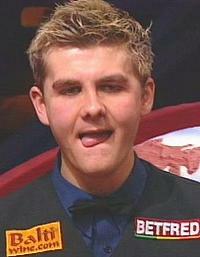 In the form of his career, Ryan was to reach the quarter-finals of the World Championship for the first time in 2008. Having beaten Michael Judge in the first round he notched up one of the best wins in his career in the second round by defeating the defending champion John Higgins 13-9. 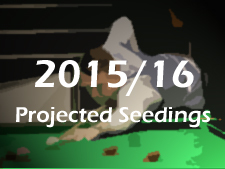 He did not play as well in his next match however and lost out 13-7 to a resurgent Stephen Hendry. Despite that defeat to Hendry, he had done enough to move up inside the top ten for the first time at number 8 and his strong form continued into 2008/9 as he reached the final of the 2008 Grand Prix. It was to be Higgins who gained his revenge with a 9-7 victory however as Ryan could not reproduce the brilliant form that had taken him to the final. His good run was enough however to lift him to third in the provisional rankings, his highest position yet. Following that result though, Ryan’s season began to unravel somewhat as he suffered last 32 defeats in both the UK Championship and his home tournament the Welsh Open. Things did improve at the China Open where he whitewashed Shaun Murphy on the way to the semi-finals, but although he led 3-1 at the mid-session interval, that man Higgins thwarted him again and came through to win 6-4. At the season-ending World Championship Ryan quietly moved through the early rounds with comfortable victories over Stephen Lee and Nigel Bond and with potential quarter-final opponent Ronnie O’Sullivan losing out to Mark Allen, must have fancied his chances of making it to the one table situation for the first time. Allen though had already given Ryan a hammering at the Masters when he won 6-1 and again it was to be his day as he won the match 13-11. Ryan did at least end the season ranked at a career high 6th position. Ryan began the 2009/10 season with yet another excellent run over in China as he defeated wildcard Li Yan and countryman Matthew Stevens to reach his fifth quarter-final in the country. Not for the first time however he saw his promising run ended by reigning world champion John Higgins, just as in Beijing earlier in the year. Closer to the home at the Grand Prix in Glasgow, Ryan was unfortunate to draw Jamie Cope, one of the most dangerous qualifiers he could have been paired with and he duly lost a close match 5-3. Worse was to come at the UK Championship when he again lost his opening match, this time to Shanghai Masters finalist Liang Wenbo who at the time was staking a claim for a wildcard place at the Wembley Masters. Better was to come at Ryan’s home tournament, the Welsh Open, where he defeated Tony Drago and then for the first time in his career Stephen Hendry to reach the quarter-finals before losing out 5-2 to defending champion Ali Carter. Another round one win came his way in Beijing but again paired with Hendry in the last 16, this time it was to be the Scot who was to emerge the winner, by an emphatic 5-0 scoreline. Ryan’s poor form unfortunately was to continue into the 2010/11 campaign as he won just two matches from the first eleven ranking event tournaments staged following the establishment of the new Players Tour Championship. 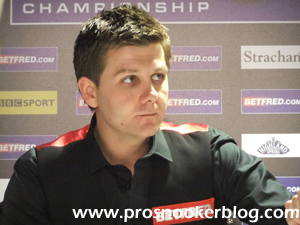 As a result Ryan was to fall out of the top 16 at the first mid-season seedings revision meaning that he would have to qualify for the UK Championship for the first time since the 2006/7 season. That event in Telford however marked something of a turning point for Ryan as having defeated Jamie Burnett 9-5 to qualify, he then edged out Mark King 9-8 in a decider before going down to Shaun Murphy in the next round by the same scoreline. From there Ryan continued to win his qualifying matches, making it through to the last four venues of the season to retain his place inside the top 32 at the end of the campaign. Most notably he reached the last 16 of both the Welsh Open and China Open tournaments, defeating Ronnie O’Sullivan in each having previously not been able to record a win against the three-time world champion. Following on from his consistent finish to the previous season, Ryan was able to qualify for each of the first four full-ranking events in 2011/12, while his results during the PTC series were improved with a run to the quarter-finals of PTC2 as well as two further last 16 appearances to his name. Following a 6-0 defeat to world number one Mark Selby at the last 32 stage of the UK Championship, Ryan’s season began to unravel, a 5-0 defeat to Robert Milkins at the Haikou World Open qualifiers, a 4-0 loss to Michael Holt at the Welsh Open qualifiers and a 5-4 defeat at the hands of Ben Woollaston at the China Open qualifiers leaving his top 32 place in jeopardy. Impressively however, Ryan was to finish the season strongly at the World Championship in Sheffield with his third career quarter-final run in the event. He made it to the venue with a comeback victory against Gerard Greene in qualifying before then repeating the feat against 2011 semi-finalist Ding Junhui to win 10-9, before then defeating Cao Yupeng in the second round. Having shaded the opening session of his quarter-final against Matthew Stevens however, he was to struggle for the remainder of the contest as his friend and countryman reeled off 11 successive frames to secure a 13-5 victory. He had at least done enough to retain his place in the top 32 at the end of the season. Following a 5-0 whitewash at the hands of Robert Milkins in the season-opening Wuxi Classic, Welshman Ryan Day was to enjoy a relatively strong start to the season, as he reached the last 16 of the Australian Goldfields Open, as well as the quarter-finals of both the UKPTC2 and ET1 events. Another last 16 appearance followed at the Shanghai Masters where he lost out to the eventual champion John Higgins, while he was also able to repeat his Crucible victory against Ding Junhui at the UK Championship in York, before again losing out to tournament winner Mark Selby. The second half of the season was to prove a disappointment for Ryan as he lost all four of his matches in ranking event competition, culminating in a 10-9 loss to Ben Woollaston at the World Championship qualifiers, which would see the Welshman miss out on a place at the Crucible for the first time since 2005. The 2013/14 season was to prove a significant improvement for Ryan, his best run coming at the German Masters where he defeated Barry Hawkins, Anthony Hamilton and Xiao Guodong in Berlin to reach his first ranking event semi-final since the 2009 China Open. Despite an impressive performance against Ding Junhui in the semi-finals, it was the Chinese number one who would edge their encounter 6-5 on his way to his fourth ranking title of the season. Ryan also performed well at the 2013 International Championship, making it to the quarter-finals before losing out 6-1 to an inspired Joe Perry. He finished the season by successfully making it back to the Crucible with a 10-5 victory against Stuart Carrington, where he edged out Scotland’s Stephen Maguire in a high-quality match to reach the last 16. Though he could not find a way past 2011 runner-up Judd Trump, losing 13-7, Ryan’s performances across the season had been strong enough to see him climb to 21s in the rankings, his highest position end of season position in four years. 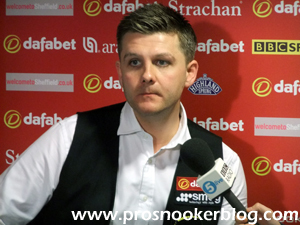 As during the previous season, Ryan’s strongest run was to come at the German Masters as he defeated Dave Harold, Sydney Wilson, Ding Junhui and Alfie Burden to reach the quarter-finals, before losing to Liang Wenbo. He also enjoyed success at the AT1 event early in the season, losing 4-2 to Ding on that occasion, while at AT2 he also made the first maximum break of his career on his way to the quarter-finals. He ended the season with three wins at the World Championship qualifiers to qualify for the Crucible, but it was to be a disappointing end to the tournament for him as he lost the last nine frames of his first round match against Mark Allen.